Physique Fitness’ Hot Barre class left us soaked in sweat but high on endorphins. The day before I headed out to Physique Fitness to try the Happy Hour Hot Barre class, I snacked on McDonald’s, Ebbets Field and Qdoba. My caloric intake made it necessary—no, crucial—for me to sweat out as many toxins as possible. Feeling full and sluggish, I shuffled over to the studio’s downtown location to try out the happy hour version of the class. Not long into the 45-minute class, and I soon realized I had come to the right place to wipe my physical slate clean. As soon as I stepped into Physique Fitness, I was greeted with pulsing music that revived my senses. The sound was drawn out and had a rhythm to it that was relaxing yet invigorating. On the outside, this building is classic vintage Springfield, but the inside is incredibly trendy and split into two halves. Up front, the building houses the Physique Boutique with its stylish gold water bottles and sleek workout clothes. The main desk is across from the boutique, where guests can sign up and pay for classes. Keep walking toward the back, and you’ll run into a large studio space with polished wood floors and full length mirrors. If you backtrack to the building’s entrance, you’ll find a stairway heading to the basement. This is the moody, cavernous studio where hot barre happens. Once downstairs, head past the childcare area and cubbies through a door leading to the Rhythm Room. 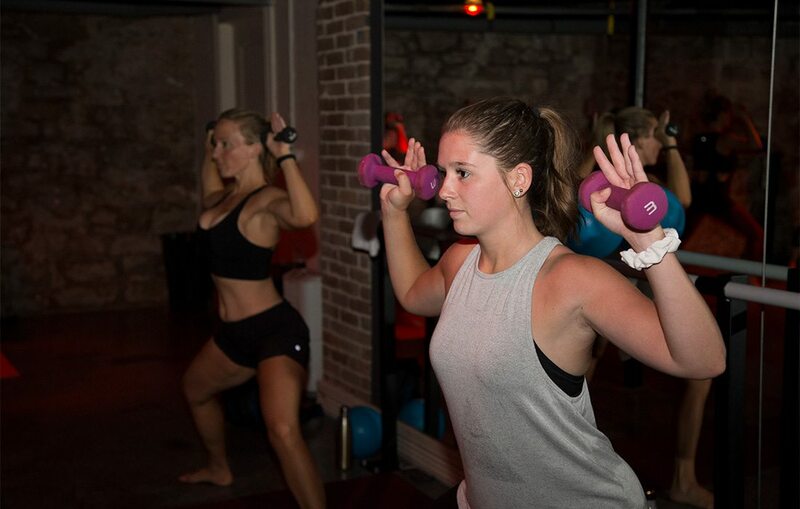 Most classes at Physique stretch into 55-minute sessions. 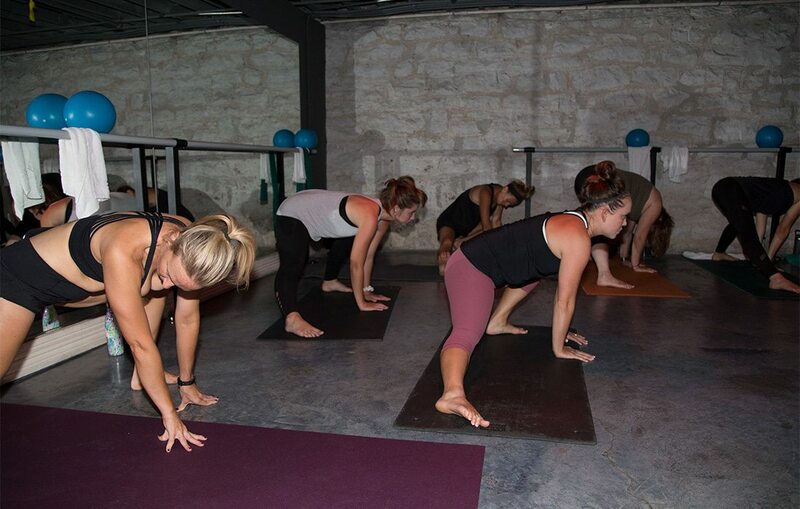 The Happy Hour classes are a snappy 45 minutes. Luckily for me, and my thighs, I had signed up for one of the hot barre Happy Hour classes. The door to the rhythm room was kept closed due to the high 90-degree temperature the room was set to. On the ceiling were infrared lights, which owner Darby Brownfield tells me can help reduce cellulite and lactic acid build-up. Full length mirrors are bolted to all surrounding walls, and the lighting is kept extremely dim, almost dark. The floor is entirely concrete, and in the left corner was a shelving unit housing towels, small weights, cleaning spray and a music station. 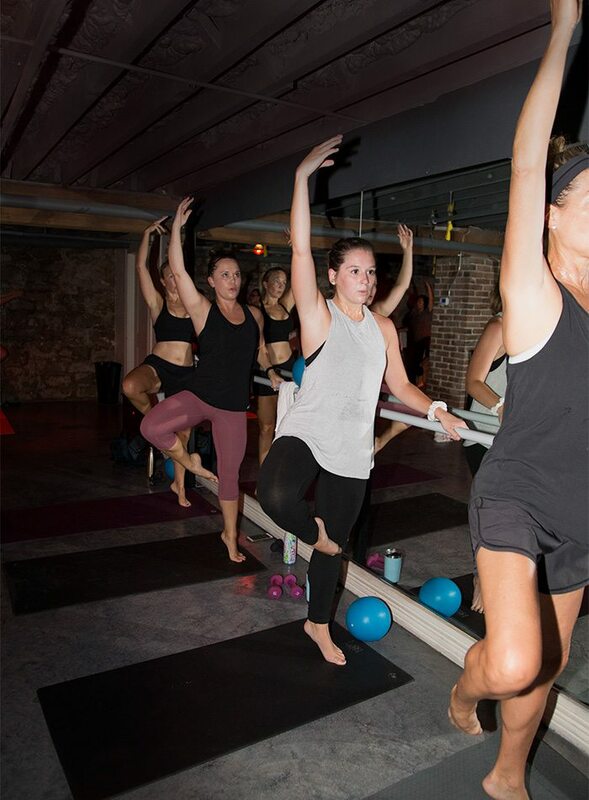 Temperatures are cooling off outside, but things are heating up in the hot barre class at Physique Fitness. Darby Brownfield is the owner of Physique Fitness, and she brings plenty of energy and encouragement to classes she leads. I started feeling the burn 10 minutes into class. Seriously. I had just completed the mini arm circles with my 2-pound weights when the burn set in. This workout was full-body, and I could feel it. Brownfield led us through a series of exercises targeting secondary muscle groups that are often overlooked during your normal workout at the gym. We started on the shoulders before moving on to triceps and back. As a newbie, I hadn’t grabbed weights and a workout ball before class started. Fumbling from the safety of my mat well into class, I inquired about the equipment, and Brownfield helped me without the slightest hitch as she continued her instructions. Overhead, the same invigorating music as upstairs beat out a steady rhythm in the class, synchronized to our movements. Most of the exercises we performed had a foundation of dance, yoga and Pilates. Having a few years of dance under my belt, I didn’t have to second-guess myself when she told us to plie in second position, but even if I didn’t have a base knowledge of dance to help me out I would have been fine. All you have to do is turn your focus to the front where Brownfield demonstrates the first few movements of each series before walking around and adjusting our posture and form. Afterward, Brownfield told me she herself has no dance experience. Basic knowledge of ballet would definitely give you a leg up, but it is not necessary, and Brownfield takes it upon herself to correct your body if you seem to be struggling. The next round of movements targeted the calves, thighs and hamstrings, and my legs were shaking uncontrollably shortly after beginning the circuit. Luckily, Brownfield was cheering us on while dancing around the studio. Watching her energy gave me the fight I needed to hold my position for the last eight-count. The workout concluded with a short circuit targeting the abs before we entered a relaxation zone. Brownfield turned off the infrared lights, which sent the room into almost total darkness. While we laid on our sweaty backs and caught our breath, she placed a cool washcloth on our foreheads and gave us a quick massage before moving to the next person. After a few minutes of zen, the red lights were flipped back on, and she congratulated us for completing the class. After hobbling out of the studio, I felt incredibly refreshed and rejuvenated, even though I was soaked with sweat. The class was difficult, but my tired muscles felt strangely good, and my mind cleared as I headed home. 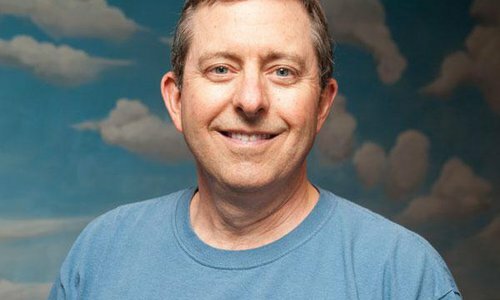 Brownfield told me the purpose of the class was to connect emotions and the mind to the strength of the physical body. As I climbed the steps of my apartment, I couldn’t help but think how I experienced something more than just a workout. 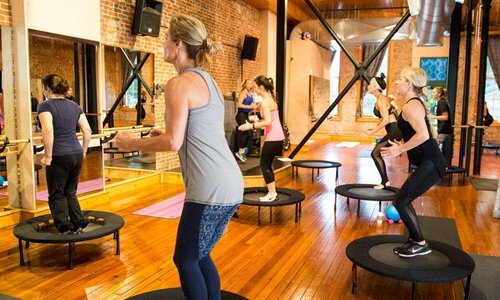 Price: $8.50 for a happy hour class, $18 for a one-class pass. Memberships and class passes are also available. Time: Varies daily—class schedules can be found online. Positive energy: Owner Darby Brownfield traveled all over the United States before perfecting her workouts, which emphasize body positivity. Some of her signature features include using dark lighting so guests are comfortable without feeling scrutinized. She also doesn’t allow a scale at the studio and ends class by congratulating participants. Digital Assistant Lillian Stone works her Thighs & Assets at downtown boutique fitness studio Physique Fitness.